The Supreme Court's judgement in the Rafale case is "self-contradictory" as it was misled by the government, and the court should recall it to restore its credibility, Congress leader Anand Sharma said here Wednesday. 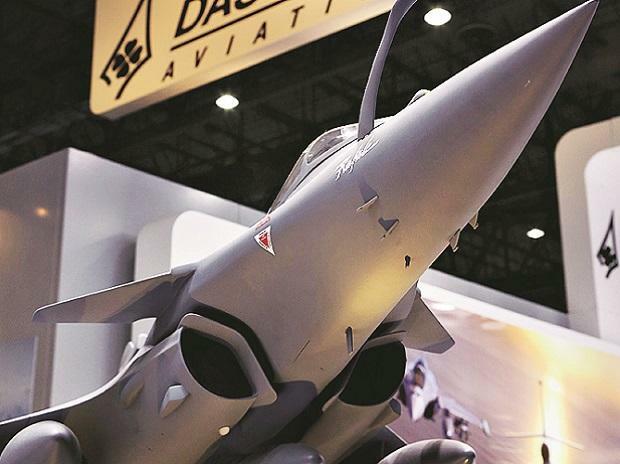 The Supreme Court last week dismissed petitions seeking probe in the deal for purchase of Rafale fighter jets. "The government has not only misled the court but also insulted it with a curative petition saying the court had misinterpreted (the information submitted by the government)," Sharma said. "The government misled the court and dented its credibility. It is up to the Supreme Court to correct the situation by recalling the self-contradictory verdict. It is up to the court to take action," he said. "What is the BJP celebrating? The judgement has dented the dignity and credibility of the apex court which needs to be restored," the Congress leader said and demanded action against the government for perjury. Reiterating the demand for a joint parliamentary committee (JPC) probe, Sharma said the SCwas not the right forum to seek a probe in the matter, as only a JPC has the power to summon files, notings and witnesses. Sharma said the Congress was not interested in what Defence Minister Nirmala Sitharaman and Finance Minister Arun Jaitley have to say while defending Prime Minister Narendra Modi. "Modi alone knows the truth. Former French President (Francois) Hollande has not retracted his statement that the India partner (in the contract) was identified by the Indian government as a pre-condition for the purchase of 36 jets. Only Hollande and Modi were involved in the decision," he said. "These two ministers (Sitharaman and Jaitley) were not involved in the entire process," Sharma said. The government has approached the court afresh saying that contrary to what the judgement indicated, the report of the Comptroller and Auditor General (CAG) on Rafale deal was not submitted to the Public Accounts Committee of Parliament. To a question about the alliance announced by the Samajwadi Party (SP) and Bahujan Samaj Party (BSP) in Uttar Pradesh while keeping the Congress out, Sharma said Congress has the mandate and people's confidence to defeat the BJP. "Parties like DMK, RJD, NCP are with Congress. We feel there should be a general consensus among other parties as well to oust the BJP which has betrayed the people," he said.